It's Raining Ribs with This All You Can Eat Promo from Morganfield's! 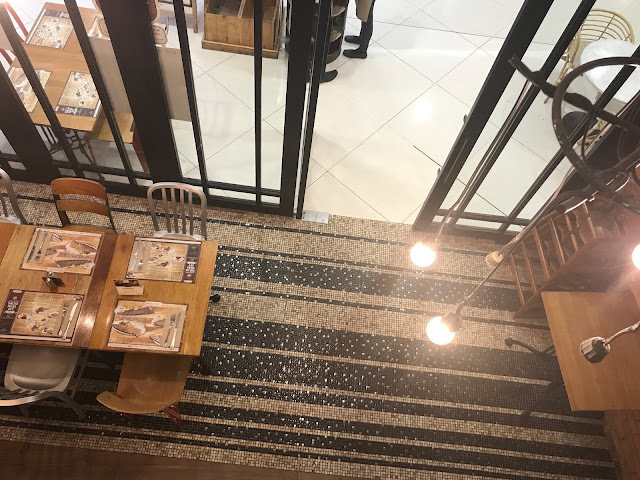 Buffet restaurants have seen a huge success in the country in the recent years that some of them forget about the quality of the food they are serving. 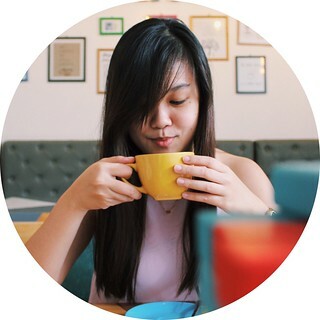 Now I am a huge fan of almost everything eat all you can, whatever cuisine those might be. Despite not having an appetite as huge as my brothers, eating at buffet restaurants has always been worth the price for me, since I get to eat a variety of food items of my choice, and this new promo from Morganfield's is no different. 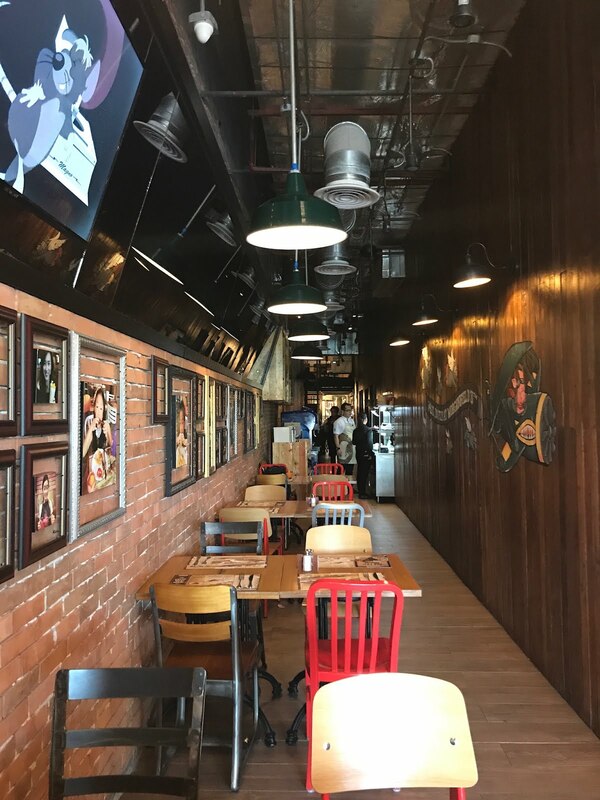 Morganfield's has been open in the country for more than a year now, and I still haven't paid it a visit until today. I like ribs, but I've always found them to be a bit over my budget, which makes the eat all you can promo even more appealing to me (and my belly)! 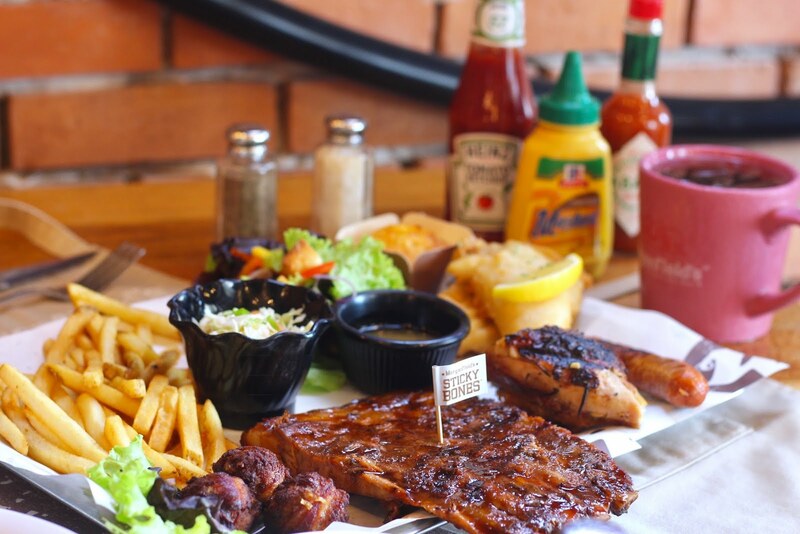 The new all you can eat platter's first serving includes Morganfield's 4-bone spare ribs, 1/8 chicken and sausage. You may choose to add more main items, soup, salad or sides. All of these for only P695! 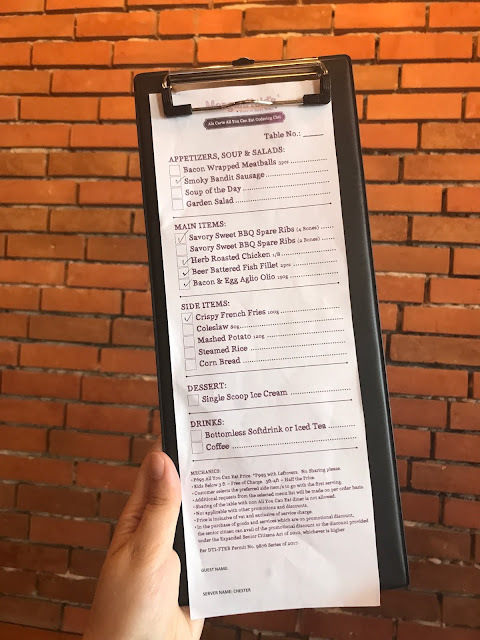 You may refill the items to your heart's desires, but make sure you can finish it up because the leftover charge is P995. There's also no sharing allowed. Now that I have explained the mechanics, it's time for me to share my very own experience. I ordered the platter with beer battered fish fillet, crispy french fries, mashed potato, and bacon and egg aglio olio pasta. The beer battered fish fillet was okay. The texture of the fish was too soft that it easily breaks, but no big deal. The tartar sauce that it came with also tasted great. I loved the crispy french fries. It's my favorite, perfect match with the ribs. The sausage tasted amazing! It was insanely juicy, and had a slight saltiness, which is something you can't ignore, but not something that numbs your tongue. If I had a refill, I'd definitely get another serving of their sausage. Their mashed potato was peppery, and did not have a gravy (or we weren't given any). 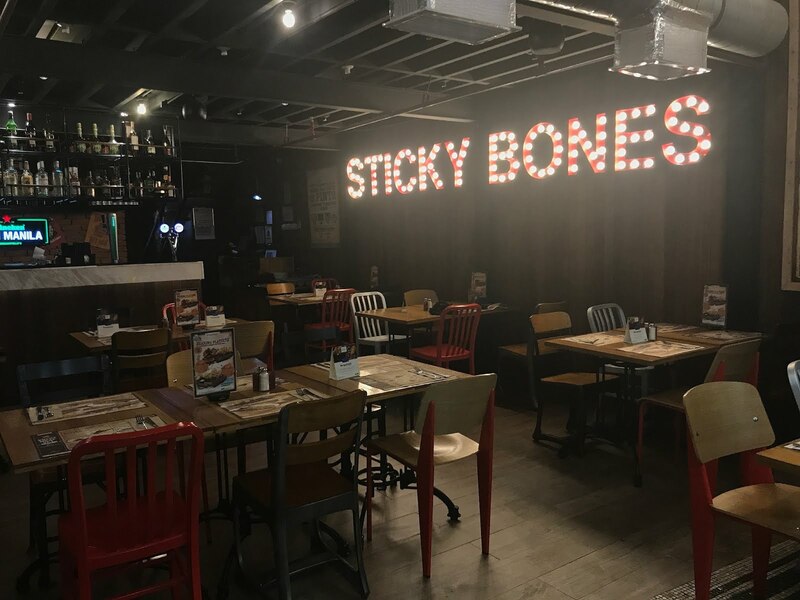 The 4 bone ribs, of course, was a winner. It really is sweet and savory, and also tender. I loved the slight chewiness and crunch ribs' crust that have crisped up. 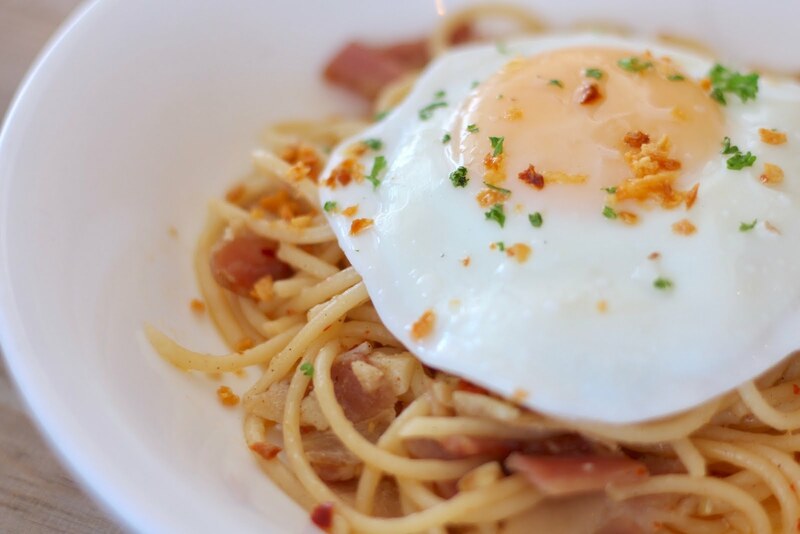 The bacon aglio olio pasta was okay. It wasn't drenched in too much oil, and the flavor of the bacon was lightly infused in the pasta. 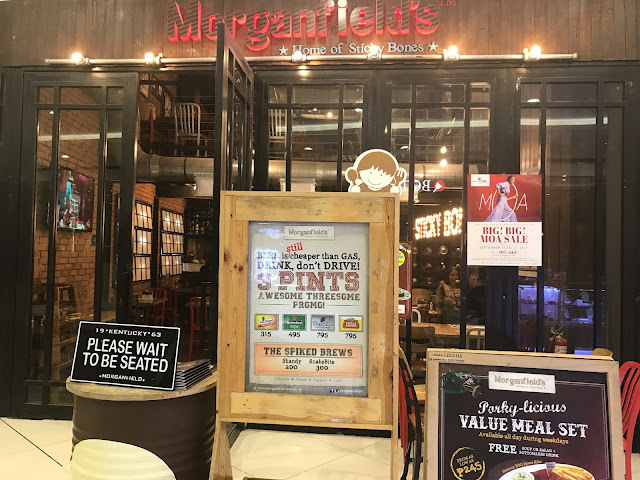 For a foodie who took this long to try out Morganfield's, I can say that this all you can eat promo is a pretty good deal. 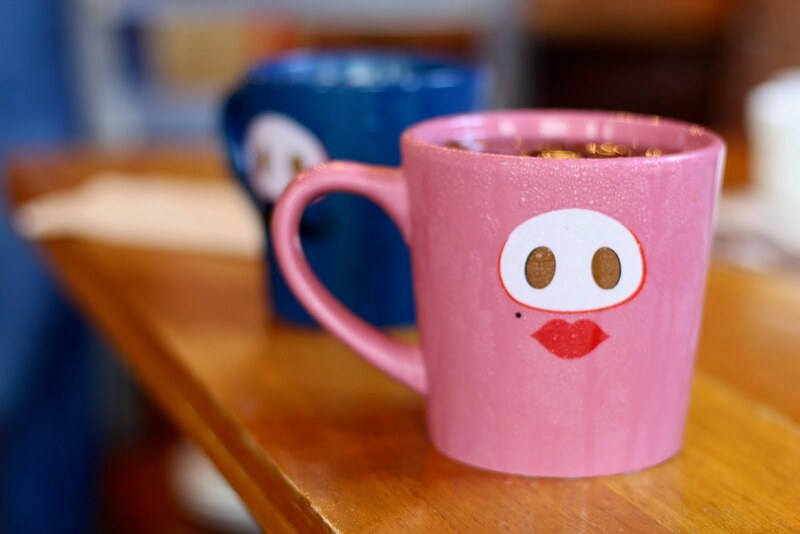 The wide variety of items to choose from, plus its delicious taste, is money well spent. In fact, I'll be swinging by again on Monday. 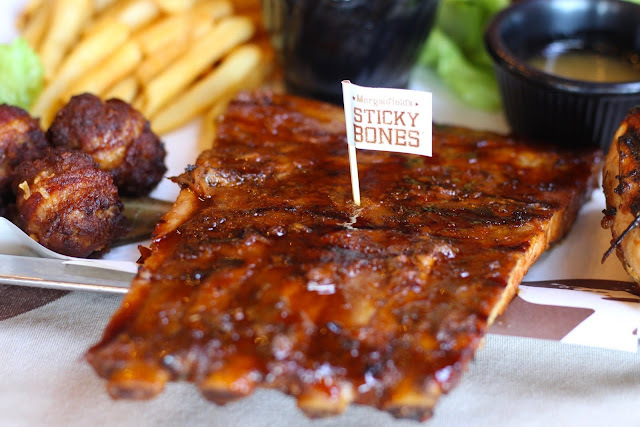 My tip for those who want to give this a shot is to order just a couple of sides and go nuts on those ribs! And hey, there's no time limit here, so don't rush it. 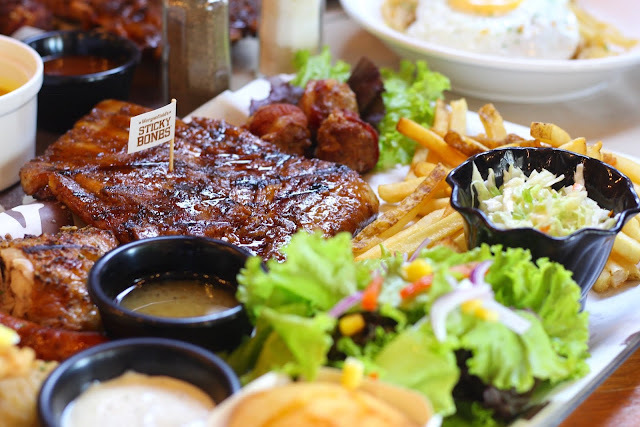 Morganfield's All You Can Eat Promo is available on weekdays, from 11am to 2pm and from 6pm to 9pm. Promo runs from September 11 to October 15, 2017, only at Morganfield's Mall of Asia Branch.